Sapphire Ventures is a technology-focused international venture capital firm with $2.4 billion under management. Sapphire Ventures is focused on helping innovative entrepreneurs build global category-defining businesses. We invest globally in growth-stage technology companies and early-stage venture funds. Fund Investments: Sapphire Ventures invests in early-stage venture capital funds. We back emerging and established fund managers with deep expertise in enterprise and consumer technologies who share our excitement for helping early-stage entrepreneurs become global category leaders. Today we are investing out of vehicle that has an evergreen structure designed to provide long-term capital to early-stage venture funds in the United States, Europe and Israel. 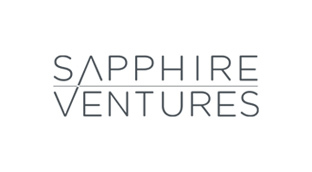 Sapphire Ventures is seeking to add a new associate to its fund investment team with an immediate possible start date. The associate will be expected to primarily work on a number of venture fund investment-related activities, such as participating in meetings with fund managers, due diligence of potential investment opportunities, oversight of existing investments, analysis of fund returns, managing the deal pipeline and data analysis for research projects. The associate will work with venture funds with a variety of investment interests, spanning multiple geographies and will gain experience with all the investment professionals in the fund. Most of the associate’s work will be to support the firm’s fund investing activities; however, a small portion of their work may be dedicated to supporting the firm’s operating activities. A portion of this person’s time may also be dedicated to firm-building activities, such as recruiting or supporting the firm’s marketing initiatives. The Associate program at Sapphire Ventures is expected to be a two-year program. We expect the associate will have a broad experience at Sapphire Ventures and will play multiple roles in the organization. 2-3 years relevant working experience for example - a financial analysis position at a firm that makes fund investments, venture capital firm, technology-focused corporate role. We expect incoming investment professionals to have significant experience working in Excel and creating and evaluating financial models. Prior experience with private fund placement documents and financial reports is a plus. Experience working directly with management teams of leading technology companies. Strong communication skills. Applicants must demonstrate the aptitude to develop and own relationships with existing and potential portfolio companies.